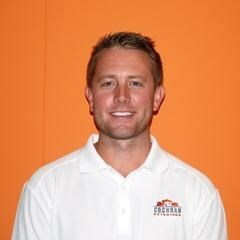 During college, Ross interned for a roofing company and learned all the ins and outs of the roofing industry. This is when he noticed there was a lack of professionalism in the roofing industry. When Ross graduated college, he moved to Cincinnati and worked for a freight company. While he was home visiting family in Indiana, he realized he missed the construction industry. Ross moved back home shortly after and co-founded Cochran Exteriors with his father John, determined to focus on going above and beyond for their customer base.